Hosting a successful event can sometimes become a careful balancing act, as the struggle becomes finding a way to stretch your limited budget out into an unforgettable night. But the truth is that ensuring your party, conference or other such function stands out from the crowd often does not have to be as expensive as you think. For example, there are a number of tricks and secrets of the trade that can turn even the most affordable of venues into a world class event space, and today we are highlighting three of the best of them. When it comes to making a five dollar venue look like a million bucks, it’s important to follow the old adage of ‘hide the negatives and emphasise the positives’. 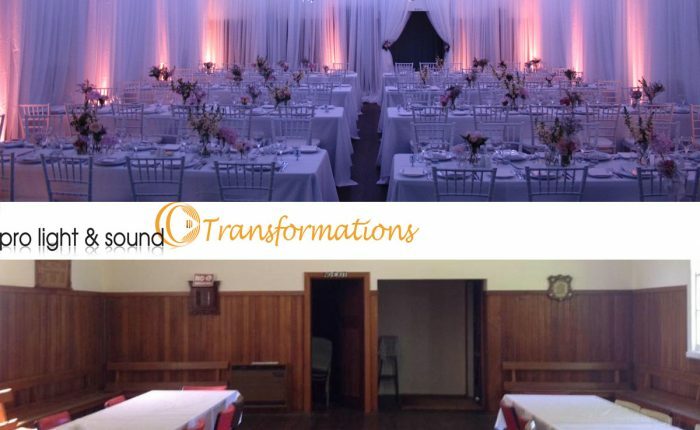 Setting up draping and backdrops to cover unsightly walls and brighten up your space is a great way to spruce up your venue and ensure it stands out in the memory of all your guests. A good way to take your venue above and beyond is by contacting a trained and experienced event management team who will be able to assist you in correctly decorating your facility, as well as with employing the other tips and tricks on this list. By making full use of the best possible AV equipment in your venue, you can help bring light to any unsightly dark spaces and keep your guests focused on the positive aspects of your facility. It’s amazing the difference in terms of professionalism that a touch of event lighting can bring, especially when it comes to presenting a stage or performance space. For people with a larger budget to work with, including little touches like moving gala event lights and building or 3D projections can really help bring out the best in your facility. If all else fails, remember that guests will often forgive a somewhat unsightly venue if treated to a truly enjoyable event experience. Another idea might be to make sure that your audio systems are of high quality, as people will often be happy to ignore a slightly rundown venue as long as there is good music and company to enjoy! Have you chosen your budget venue? Get in touch now to see how we can help you transform it into a world class event!